Click on the INDEX Title to go directly to the topic. 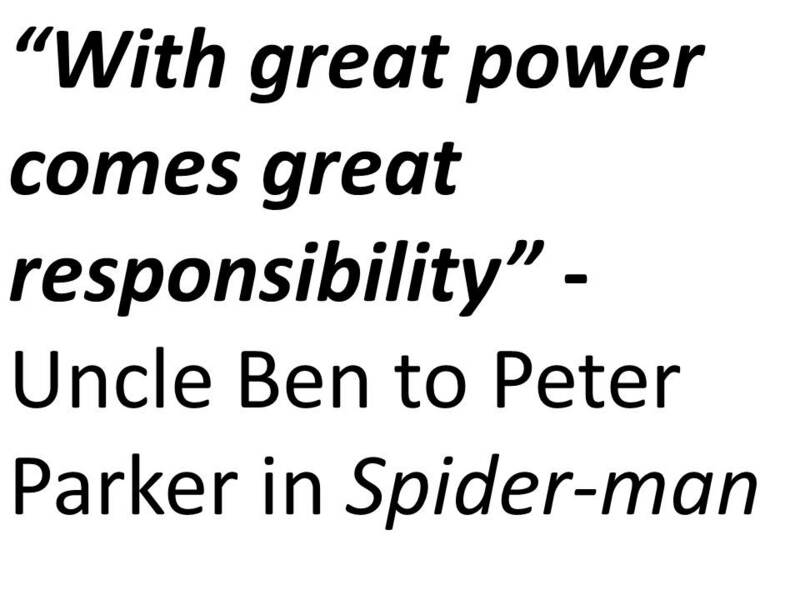 Click the back button on your browser to return to the top of this blog. Just over five months ago the first of two devastating earthquakes followed by many aftershocks changed the country of Nepal and its people forever. 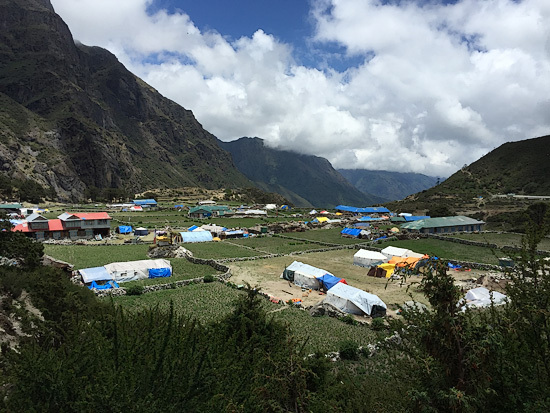 In my last BLOG POST Nepal Earthquake Disaster Update 1 – June 17, 2015 I wrote of the Monsoons coming, and the additional challenge this presents for the gentle-spirited people of Nepal, particularly the Sherpa people living in the mountain villages of the majestic Himalaya. 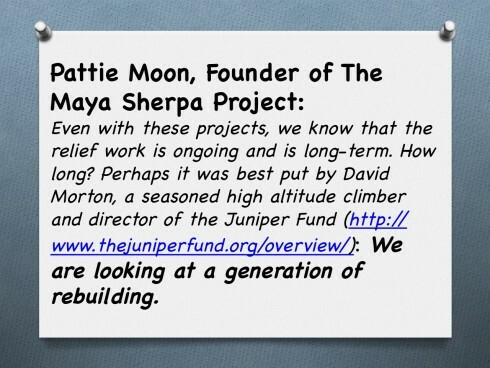 We now have some first-hand news from Nepal, and from Pattie Moon, Founder of The Maya Sherpa Project. Thank you once again for the many gifts already made for this cause, and for the ongoing support we continue to receive. 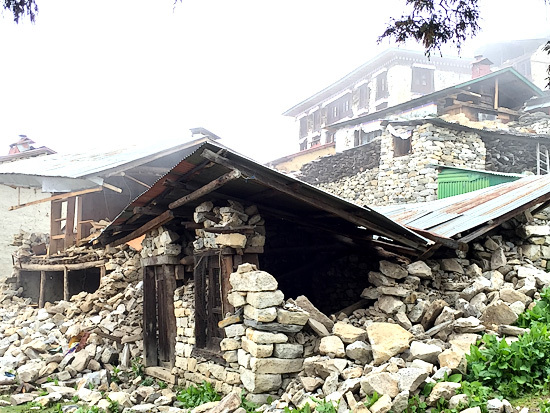 Please revisit my earlier BLOGs and consider making a donation to continue our support on the ground in Nepal. Simply click on the Donate box to the left. From here you can make a contribution using your Visa card or PayPal. 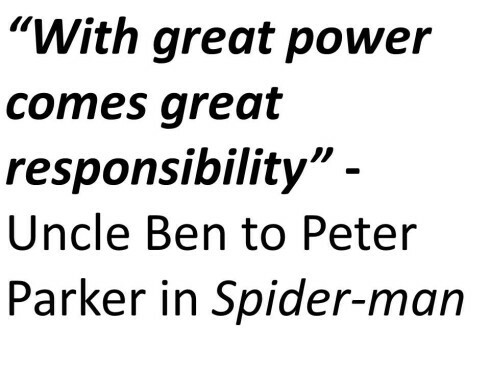 No contribution is too small. 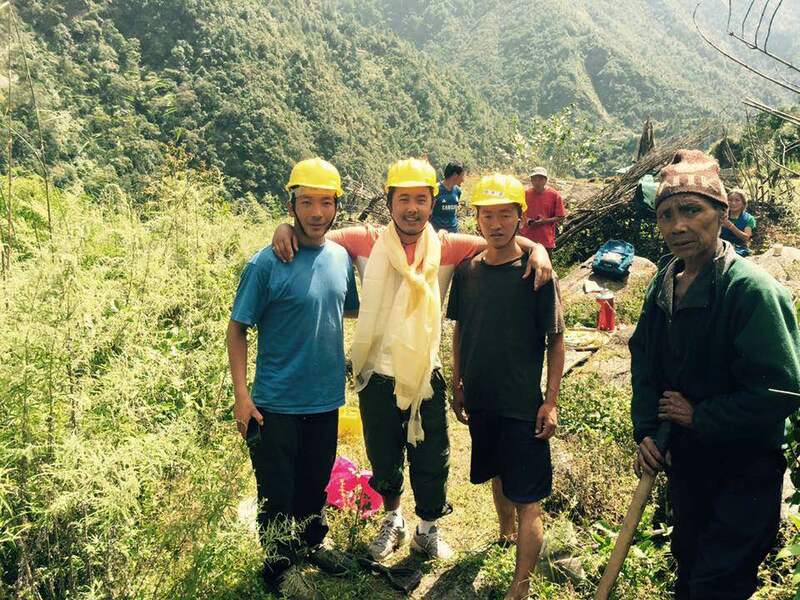 The Maya Sherpa Project is grateful for your generous donations and those of your friends for the 2015 Nepal Earthquake Relief Fund. In a country with such great need, everything is useful and much appreciated. 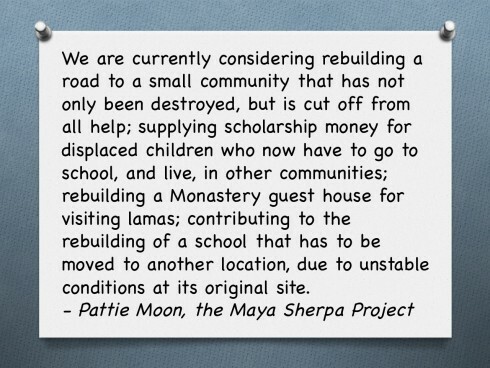 To read the Maya Sherpa Project’s full report, click HERE . Upon returning to the States, both Nima and Nick expressed their opinions about ways to utilize the generous donations the Maya Sherpa Project had received. They agreed that the best approach is to help rebuild village structures – the schools, health clinics, and monasteries – that will not be supported by government funding. Nothing could be more important, as these places are the heart of every Sherpa village; this is where they come together as a community to celebrate, share, learn, and mourn. And this is where they will find the support to help each other heal. 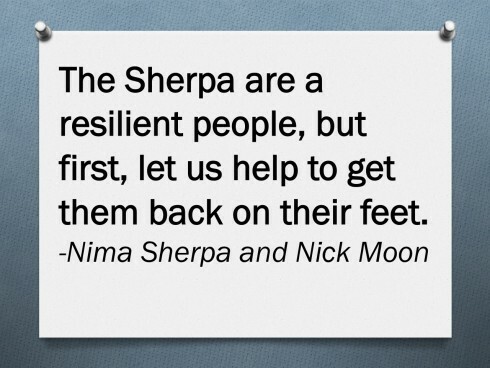 The Sherpa are a resilient people, but first, let us help to get them back on their feet. The devastation is beyond our understanding or comprehension. Click HERE to read the full report by Nima Sherpa and Nick Moon on the Maya Sherpa Project website. 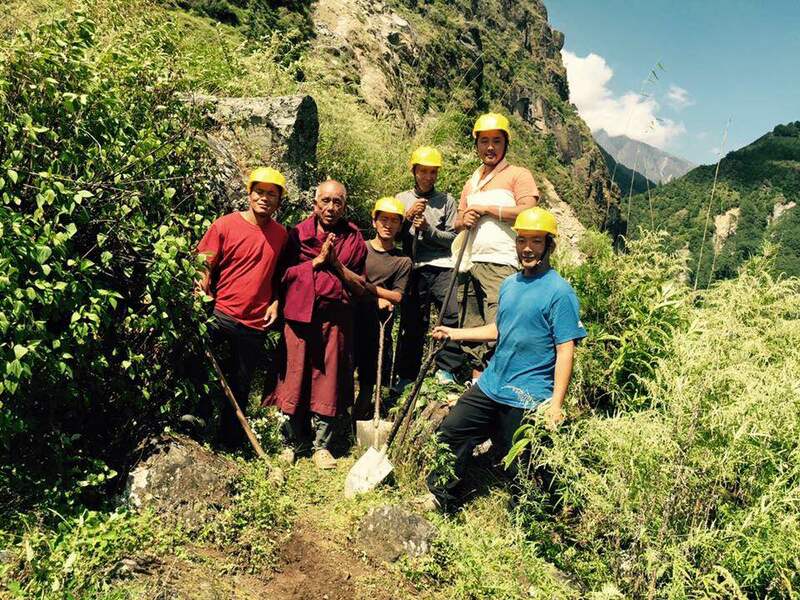 The village of Nakchun has been supported by the Maya Sherpa Project in many different ways over the past years. Much of Nakchun has been destroyed by the earthquakes, and the only trail to the village was obliterated, isolating the villagers since April, 2015. One of the first projects funded by the money raised for the Maya Sherpa Project’s earthquake relief effort is now underway – to rebuild this trail. Here are the photos from the work that has just begun for the village of Nakchung. Such a great slice of the scenery in the Khumbu. My, those valleys are steep! 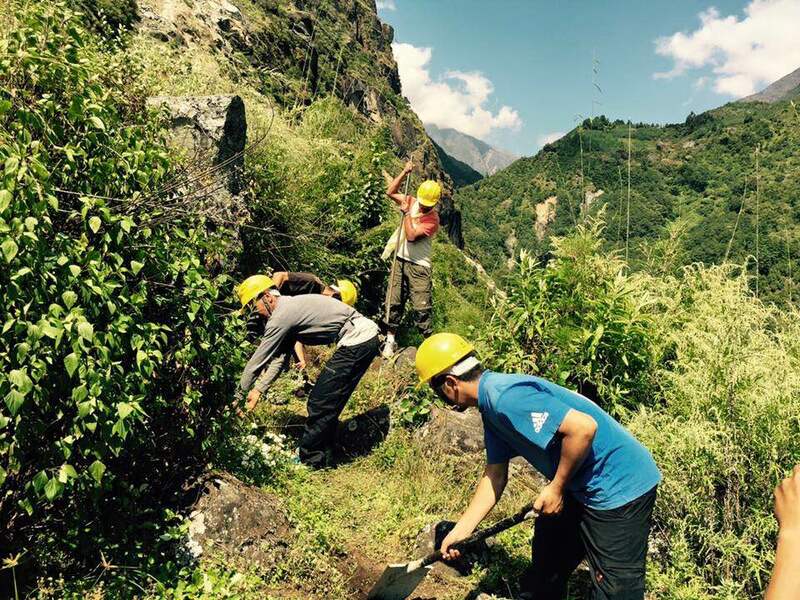 Work has started to rebuild the trail to Nakchung – the first of our projects in the remote Himalaya. We are also giving “scholarships” to the children from Nakchung, who have to now live and study in Lukla, since they also now can’t live in – and therefore walk from – their village to attend the Hillary schools in Lukla, 3+ hours each way every day . . . 6+ hours round trip, for children as young as 7! I know this is common practice, but I have proposed that we continue the scholarships after the trail is again open, so that they don’t have to spend that time walking. 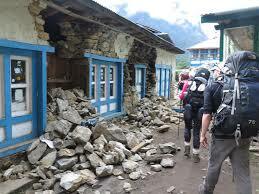 They could continue to board in other Sherpa homes, but return to Nakchung Friday evening until Monday morning. 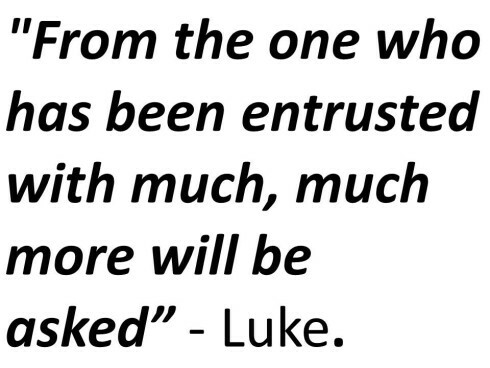 We shall see . 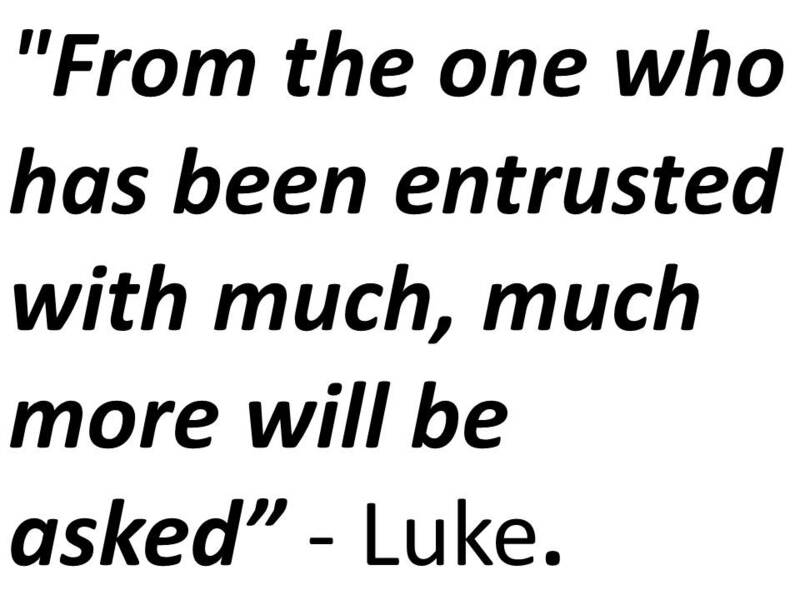 . .
All this and more . . .
We are giving “scholarships” to the children from Nakchung, who have to now live and study in Lukla,since they also now can’t live in – and therefore walk from – their village to go to school. 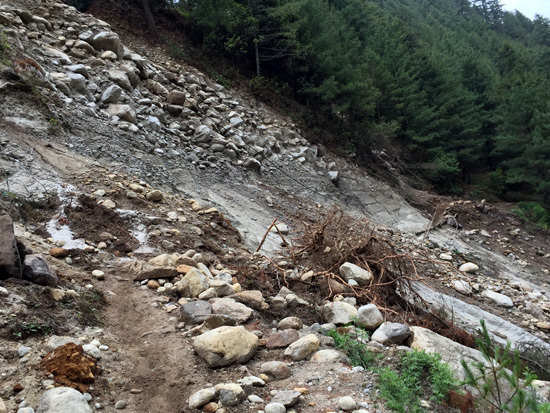 Although Lukla sustained much damage, it is a regional center which has received some assistance to rebuild. 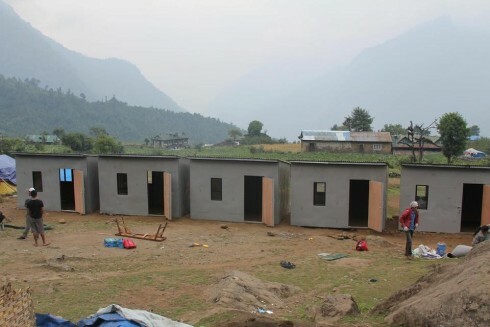 In the mean time, the Himalaya Club worked in Nakchun to provide housing for the villagers. Please take a few minutes to watch the video about the types of homes that are being constructed now; these 5 were built for the Nakchung families that were displaced by the earthquake. It is for them that we are building the road back to their village. 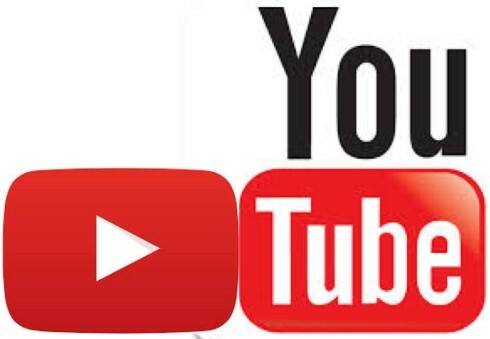 Click on the YouTube play button or on the image below to view the video. I am also so very grateful for the support from UBS, both in my effort to help raise funds for a small NGO, the Maya Sherpa Project, and in a big way through the UBS Optimus Foundation. Some of our friends and clients made contributions to the UBS Optimus Foundation’s Emergency Relief effort, receiving 100% match for contributions over $1,000 for a limited period. Current contributions to the cause are still matched 100%, but the minimum gift to qualify for this match is now $5,000. 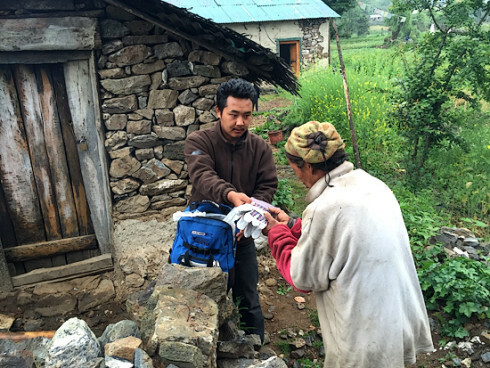 It is amazing what a huge difference both these efforts will make to the stricken Sherpa and other people of Nepal. it to bring essential light and power to health facilities. Like food, water and shelter, the lack of available electricity, particularly in the remote villages in the Himalaya, is a huge challenge. In one of the projects in Nepal supported by this effort, the UBS Optimus Foundation is funding 100 solar suitcases, some of which are already being used in Nepal helping to deal with the terrible aftermath of the recent earthquakes. The suitcases are used by local partner organization One Heart Worldwide for emergency medical care with a focus on obstetric and maternal needs in remote locations. In the longer term, the suitcases will be used to serve rural health outposts without access to electricity. 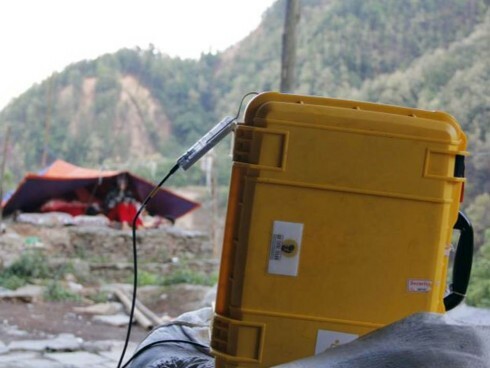 I will be attending an event in NYC on November 12, 2015: A Commitment to Philanthropy – an opportunity to learn more about our Optimus Foundation’s relief efforts in Nepal. Stay tuned for that update. Please know that this letter is sent to you as much in the spirit of continuing to keep the awareness of this terrible tragedy alive as it is to solicit help financially in a small way. Your thoughts and prayers are just as important.